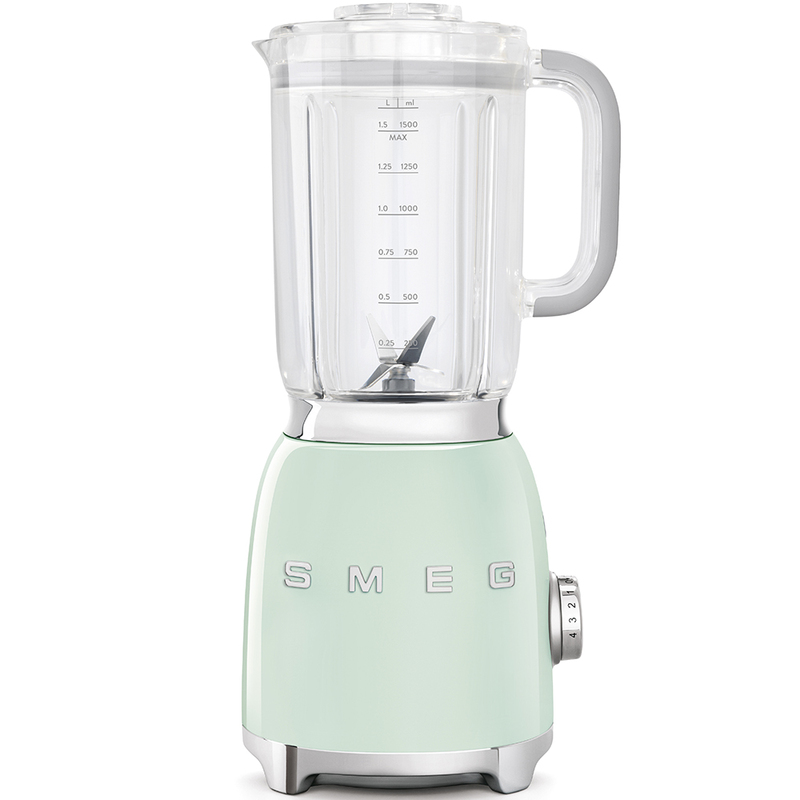 Get your creative juices flowing with this fabulous retro Smeg BLF01PGUK blender. If you have a sweet tooth why not indulge and make your own ice cream or mousse? Or if savoury is more your style you can whip up your own dips, sauces and soups in no time. 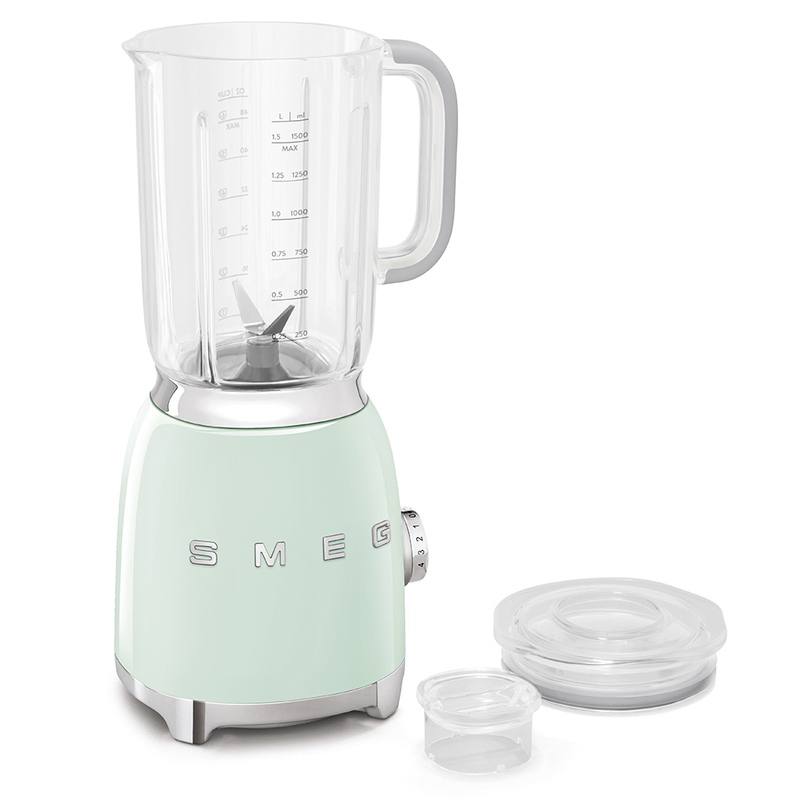 The 50’s style retro blender by Smeg is not only stylish in design but fantastic for your blending needs. It has a die-cast aluminium body and a premium lightweight Tritan jug. Smeg have used a powerful 800w motor that will take care of those ice cubes, nuts or frozen fruits with no problems at all, taking around 50 seconds to turn to the consistency you need. It has a large 1.5 litre jug and 4 speed settings including a pulse setting which reaches up to 18000rpm speed. A 45ml measuring cup sits within the blender and also doubles up as a key to remove the blender blade for easy cleaning. This can be hand-washed, dishwasher safe or self-cleaning by adding warm water to the blender cup. 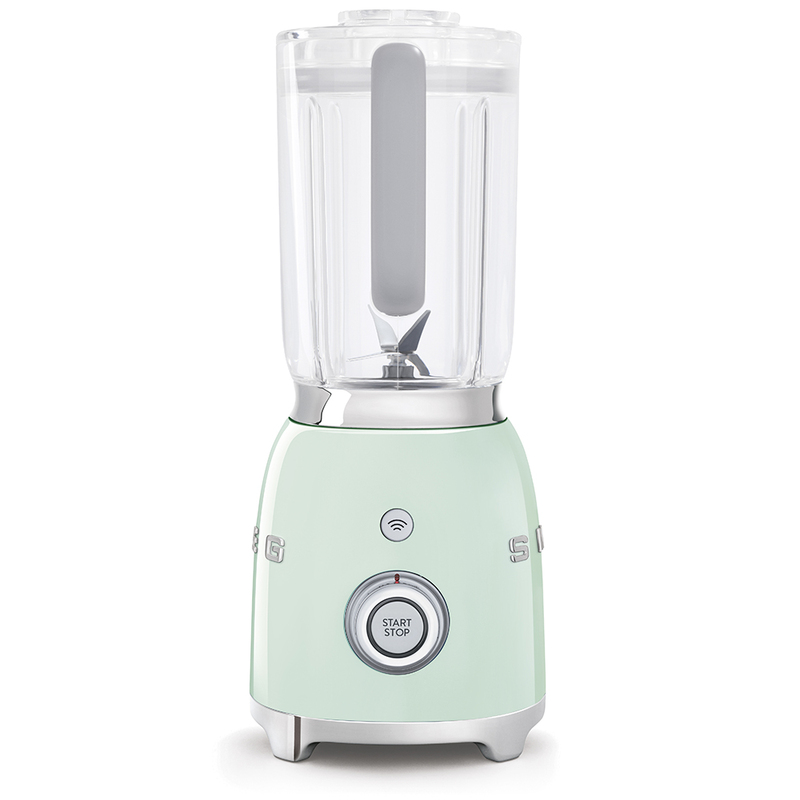 The start/stop push button gradually increases the speed of the blade ensuring all food is blended to your desire. 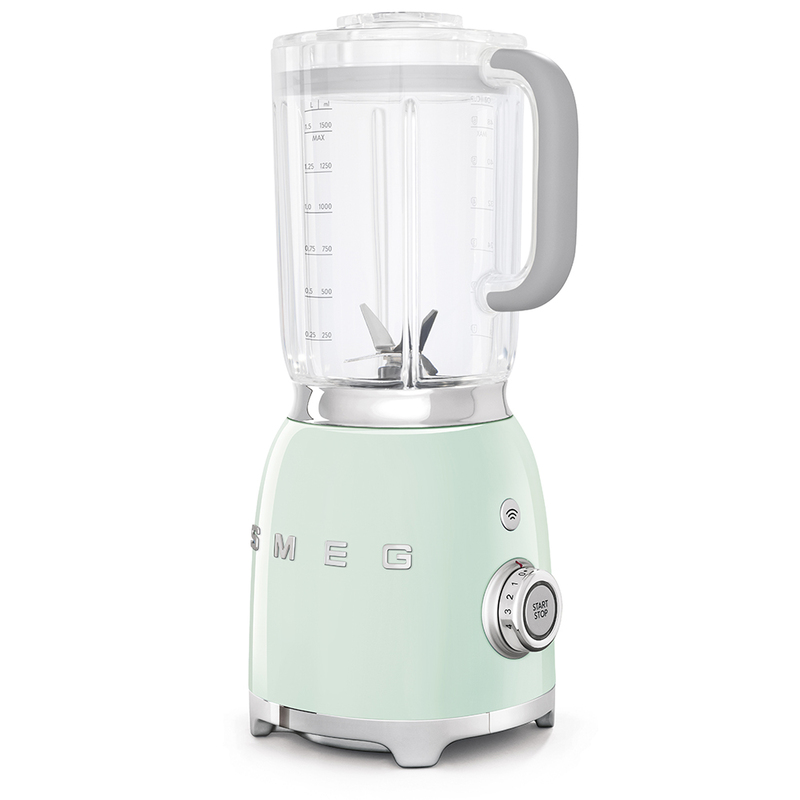 It is available in a variety of colours and the cable can be kept tidily under the base making this a practical and ultra sleek blender suitable for any kitchen. 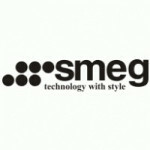 Also look fantastic against the other Smeg Retro ranges.